Back-to-back defeats against Bolton Wanderers (0-1) and at home to Crewe Alexandra (1-2) in the League Cup has threatened to give new boss Chris Wilder an awful start to his reign at Bramall Lane, and when Andy Cannon rounded keeper Long to score, a third defeat looked to be on the cards. But the Blades picked themselves up and levelled the scores, Sharp notching his first goal of the season. Wilder named the same starting XI for the third successive game despite concerns over the fitness of Jack O'Connell, who had received a knock in their last outing. New signing Harry Chapman, who joined on a season's long loan from Middlesbrough started on the substitute’s bench. Rochdale, who were without top striker Peter Vincenti included former Blades Nathaniel Mendez-Laing and Harrison McGahey amongst their started eleven. The early exchanges were pretty even with both sides creating opportunities at both ends of the field. Lillis was called into action following a tidy move involving Fleck, Duffy and Done, whilst O'Connell blocked McDermott's effort. Duffy and Cannon both attempted long range efforts but these came to nothing. The first real chance of the game fell after just 15 minutes when a fortunate ricochet saw the ball fall kindly for Henderson but Long reacted well to save smartly. A bizarre moment in the match saw Fleck enter the referee's naughty book following a foul on an opponent, but the referee awarded a free-kick in favour of United! Rochdale took the lead as the first half drew to a close. Henderson's edge of the box effort took a deflectiion, the ball spun away from Long's grasp and CANNON reacted quickest to round the keeper and slot home. The second half brought the same even play with both sides providing crosses into the box but McGahey and Done were both off target. Chapman was brought on for Done just before the hour mark for his debut as the Blades put a foot hold on the game. Clarke headed wide on 65 minutes after meeting Duffy's cross, and when Sharp supplied a ball into the box, the ball was too high for Clarke's head. The visitors were content in slowing the play down but when Canavan fouled on 81 minutes, they gifted United with a dangerous free-kick on the right. Hussey swung in and as Dale appealed for off-side, SHARP timed his run to slot home in front of the Kop. United saw penalty appeals turned away when Clarke and McGahey clashed in the box, and at the other end Andrew headed a McNulty cross wide of the goal. Basham attempted to thread the ball through to Sharp late on but Lillis was on call to collect as the game dwindled and a point each was shared. 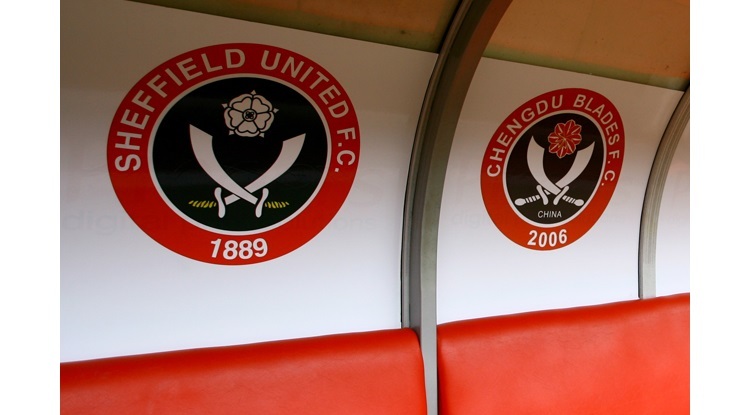 Sheffield United: Long, Brayford, Hussey, Fleck, O'Connell, Basham, Sharp, Done (Chapman 59), Wilson, Duffy (Scougall 68), Clarke. Subs: McNulty, Ramsdale, Wright, Coutts, Freeman. Rochdale: Lillis, Rafferty, McNulty, Canavan, McGahey, Andrew, Mendez-Laing (Odelusi 68), McDermott, Allen, Cannon (Camps 78), Henderson. Subs: Tanser, Thompson, Logan, Morley, Bunney.